My thoughts on the Battlefield beta will come from the perspective of a Call of Duty player. It’s what I prefer. And my mind and choice of multiplayer shooter hasn’t been swayed by EA’s game. Battlefield isn’t my type of FPS. From the ground up I’m just not into open maps and long-range engagements. Give me a close quarters balls-to-the-walls action game, that’s COD in a nutshell. Battlefield is a truly different kind of shooter. They are both about killing stuff and modern war, that’s where the similarities stop. Players had access to a second map, with vehicles, but it seems that its main purpose was for testing. Now we only have Metro, a mid sized map (still larger than most multiplayer maps in other shooters) and one objective based mode. As the game starts you either defend against bomb planters, or you are the planty, plantie? New word for you guys. I could care less what the objective was; all I did was shoot dudes in the face. I think the biggest flaw with the beta is that they gave people a map that took away the thing that separated Battlefield from other games: vehicles. The gunplay just isn’t as tight and responsive as Call of Duty, neither is it more satisfying to put lead into somebody’s skull. I never felt in control of my soldier. The weight and feel of the recoil on the weapons is all wrong. The controls felt sluggish like I was walking in Jell-O. It's possible my guy was wearing a fat suit and I couldn’t tell. Adjusting aim sensitivity alleviates some frustration but not by much. All the animations – while nice to look at – are very drawn out and deliberate; and prepare to die while vaulting over objects. It was funny the first time I got shot jumping over a fallen tree…not so much the next 100 times. I played on the Xbox 360, and I was under the impression that there wasn’t much visual difference between it and the PC version – oh, boy there is. 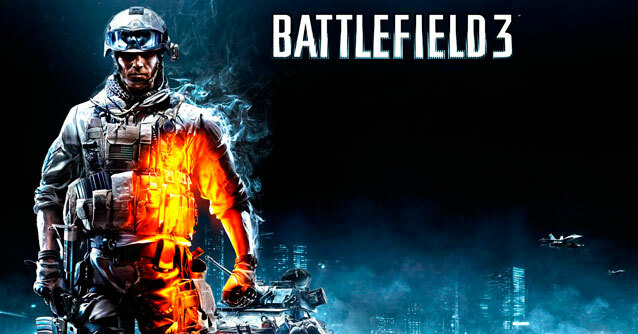 Battlefield 3 on console doesn’t look bad, but it’s a far cry from what I saw at E3 and it looks marginally different from its PC counterpart. Particle effects, lighting and textures all seem to have taken a step down. 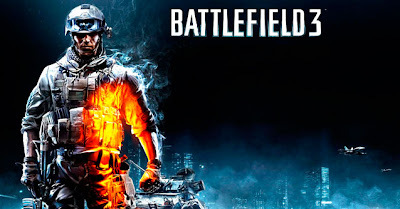 Battlefield 3 blew people away visually at press events, now I really don’t see a decided edge between it and Modern Warfare 3. I feel like I’m just focusing on the negative, but I was really trying to give Battlefield a shot. It’s just not for me. The people that love big open fields, sniping to their hearts content and shooting people from miles away are going to enjoy this. The beta will improve the game, in theory at least. I wasn’t won over with anything shown so far. I’m still in Activision’s corner with COD, and the Battlefield beta hasn’t changed that – it may have done the opposite, I only want to play Modern Warfare 3 more now.